Port Canaveral, south jetty, very low intertidal zone on boulders, Brevard County, Florida. Marlo Krisberg! 22 August, 2013. The size spans from 10.4 to 29.0 mm. This composite above shows three stages in the growth of N. fulgurans (L to R): 10.4, 19.0, and 29.0 mm maximum dimension but scaled to the same height. With growth, attendant morphological changes become more easily apparent by applying this technique. 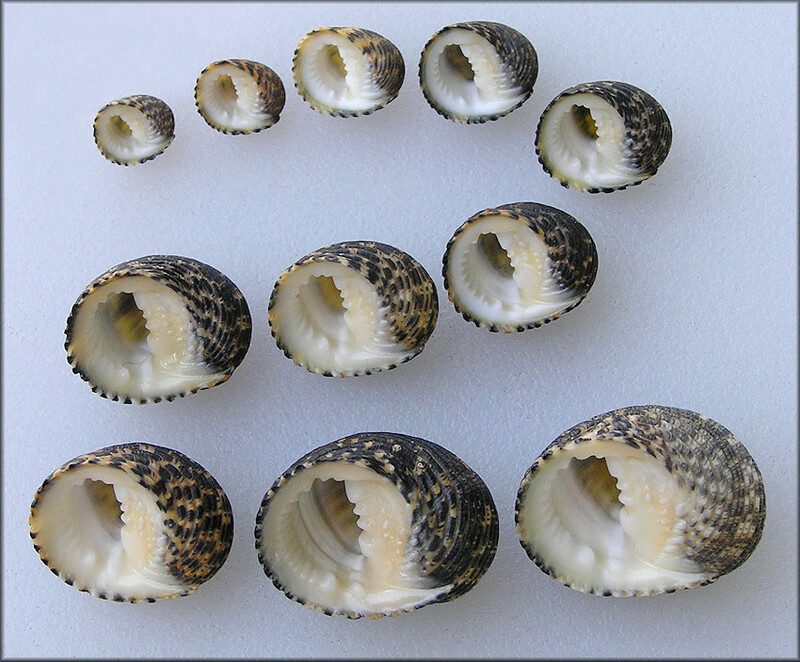 As the shell enlarges, the spiral cords increase in number (16 to 29), become more crowded, homogeneous, flatter, and proportionately smaller. Further, with the relative increase in the height of the spire and decrease in relative size and obliquity of the aperture, the profile of the shell becomes more spherical. This process is observable in the ontogeny of most neritids, as well as certain other gastropod groups. 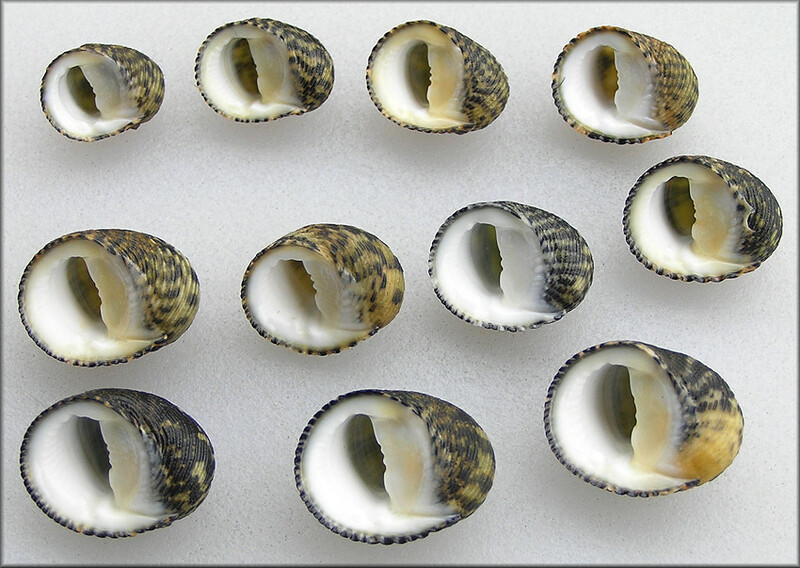 Failure to account for conchological change with growth, termed allometry, may make identification difficult and, over the years, has prompted hasty descriptions of "new" species when authors weren't aware of the full spectrum of morphological expression. Deep in crevices of the south St. Marys River jetty, Fort Clinch State Park, Amelia Island, Nassau County, Florida Bill Frank and Brian Marshall! 17 August, 2013. The size spans 18.1 to 25.7 mm.